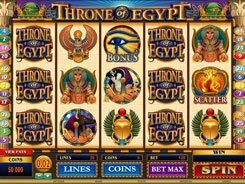 Released by Microgaming, Throne of Egypt is a feature-packed slot played on 5 reels and 25 paylines. 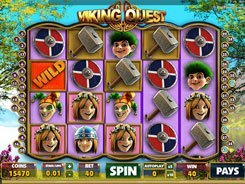 The slot has a wild, two scatter symbols, free spins, and a three-level bonus feature that opens up prospects for truly amazing wins. 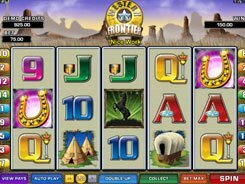 Before a spin you can configure your bet size by changing the number of coins (1 to 5), a coin value ($0.01–$1), and the number of paylines. 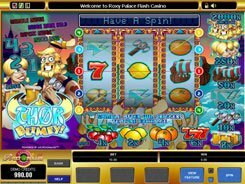 Overall, you can bet starting at one penny and running to $125 per spin. On the reels you will come across Egyptian symbols of the older times, such as Cleopatra, pharaohs, Osiris, scarabs, etc. 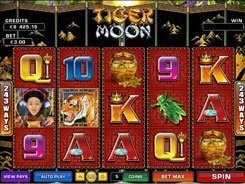 The slot has a wild symbol (the Throne of Egypt logo) that substitutes for other symbols, comes stacked on the reels, and pays out the top jackpot prize of $10,000 for five of a kind. A scatter depicting snakes unlocks 15 free spins if two of them fall on reel 1 and 5 at a time. The other scatter symbol (the Eye of Horus) triggers the Bonus Chamber that comprises three levels. Your task is to pick the items that reveal cash prizes and advance through the levels to reach the final King’s Chamber that awards a random multiplier to your wins accumulated in the bonus feature.